True confession time! I have never read Pride and Prejudice by Jane Austen. I'm one of those awful people who loves the movies based on Jane Austen's work but when trying to read the books I've just never made it through. But no worries! I'm almost convinced to give them another try. None of that stopped me from completely enjoying Elizabeth Eulberg's Prom & Prejudice a fun and adorable retelling of Pride and Prejudice set in high school. Since marriage is a bit ambitious for our modern girls in high school, the event of great chatter is instead, prom. Eulberg keeps all the names intact, which makes me giggle especially over Charles Bingley. She makes some adjustments so that her story is in fact her own creation and works for its modern setting. Jane is Lizzie's best friend and roommate not her sister, but their relationship, despite it's sort duration, is one of sisters. Why is this? Because Elizabeth Bennett is a scholarship student at Longbourne, she is bullied. After all, these poor girls can't come in and cause a stir when there are wealthy girls around! Jane never bullies Lizzie and as such they are extraordinarily close. Charles Bingley clearly has a thing for Jane and Jane frequently invites Lizzie along to the parties--which is where she meets Will Darcy. She can tell he forms a quick opinion about her based on her scholarship student status and so she does the same about him and his money. It's an opinion she clings to tightly despite evidence to contrary until circumstances force her into a different opinion...but will it be too late? I enjoyed this book immensely, reading it cover to cover giggling delightedly and enjoying all the ways in which Eulberg tells her story convincingly for a new setting using all the important elements of the original. I think even if you are unfamiliar with Jane Austen's story you are sure to enjoy this fun romantic comedy. Like Elizabeth Eulberg on Facebook, follow her on Twitter, and check out her website for more information. 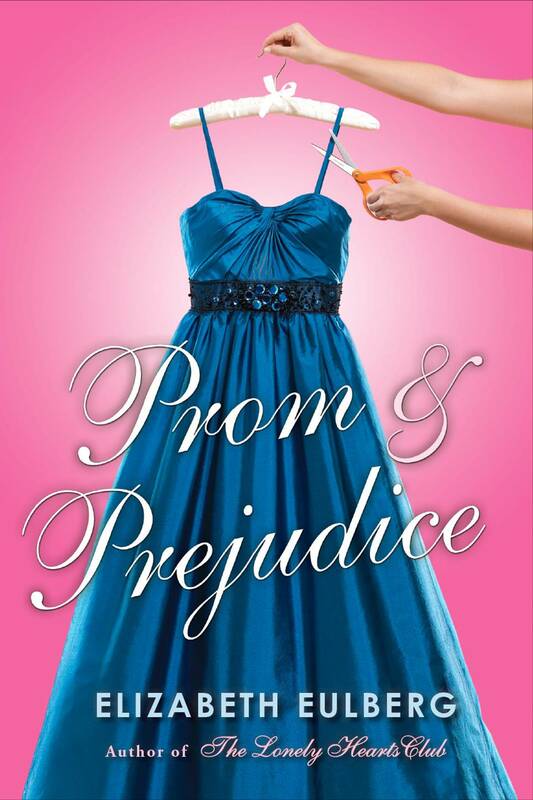 The publisher has made it possible for me to give away two copies of Prom & Prejudice! This is open to anyone with a United States mailing address. Please fill out the form if you wish to enter.